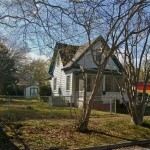 2100 Lansing Ave. Portsmouth, Va.
Now is the time to buy investment properties. There are numerous homes in affordable price ranges that provide positive cash flow. 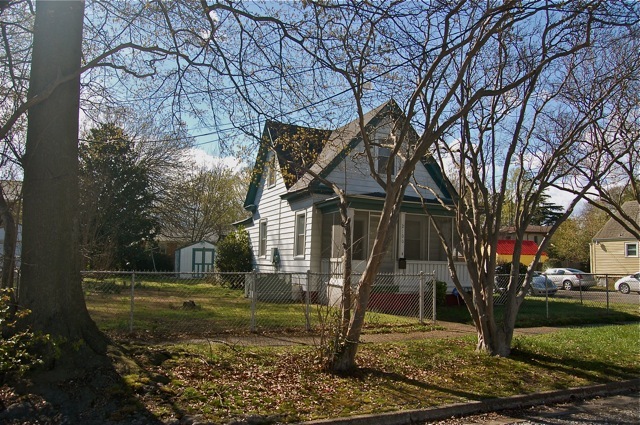 This small Victorian styled bungalow in Prentis Park neighborhood of Portsmouth, Virginia offers the beginning investor a solid positive cash flow. Built in the 1920’s this 3 bedroom 1.5 bath home needs a little TLC …. but is in rent-able move-in condition. Located just blocks from the Portsmouth Naval Shipyard, finding renters is as easy as sticking a sign in the yard. This property is located on a nice sized corner lot with a storage shed and old style detached garage. Whether you are an investor or first time home buyer … this home is priced to sell. Your payments should be less than rent. For the investor ….. you can expect rents in the range of $800-900/month. For a first time home buyer … your monthly payments (PITI) should be well under $570/month …. affordable living for home owners and strong cash flow for investors. There are so many bargains like this Prentis Park home. This one is not a short sale, not a foreclosure but a bargain none the less. (Priced at $69,000) If you have been sitting on the fence … waiting to buy your first investment property or first home … BUY Real Estate NOW …. prices are at the bottom and interest rates are at all time lows too. Its the perfect storm for real estate investing.